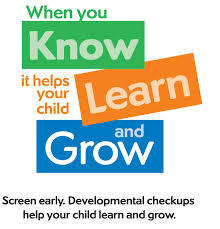 A very important part of our well-child visits, is a check-up on how children are learning, behaving, and developing. This means asking you to complete one or more brief developmental-behavioral screening questionnaires at most well-child visits. These developmental screening questionnaires help us see whether your child is at risk for problems, now or in the future, and if so, what to do next. The questions we will ask are important because they help us to help your child become as successful in school and in life, as he or she can. The extra service (procedure code 96110 for each screen) will be billed to your insurance in accordance with the American Medical Association’s CPT (Current Procedural Terminology) Guidelines for billing. Most insurers pay for this service; however, if the claim is denied by your insurer as a “non-covered” service, you will be responsible for the payment. Please be assured we are working with the American Academy of Pediatrics to make sure this service will become fully covered by all insurers and Medicaid. If you do receive our bill for developmental-behavioral screening after denial of the claim by your insurer, please understand how important this service is to your child’s well-being. Why is standardized developmental testing important? Fewer than 70% of children with developmental and behavioral problems are identified before school entrance. Under-detection is due to the subtle and emerging nature of children's difficulties. For example, most children with disabilities walk, talk, and eventually read, but not as well as is necessary for school success. Failure to detect difficulties means that many children do not receive the benefits of early intervention. Early intervention greatly increases the likelihood of graduating from high school, of living independently, avoiding teen pregnancy, holding a job, etc. The absence of early intervention contributes to the fact that 1 in 3 children have either disabilities or substantial school difficulties; 18% drop out of high school.